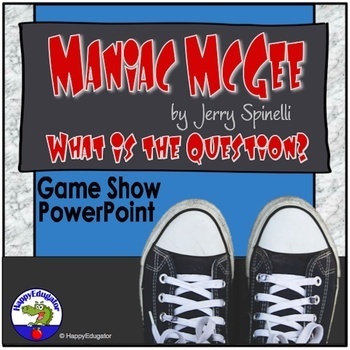 Maniac Magee Game Show PowerPoint. Based on book by Jerry Spinelli. Figure out the question from the answer given. After you read the novel, review characters, plot, setting, etc. 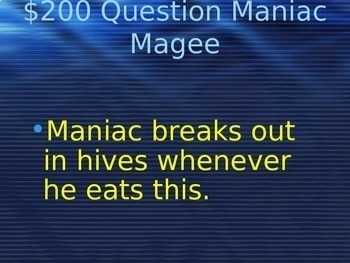 in a fun and engaging game similar to the game show Jeopardy. 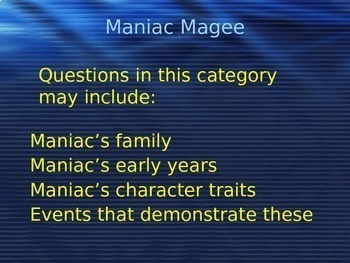 It has the following categories: Maniac Magee, Amanda Beale, Mars Bar, Two Mills, Grayson and the McNabs. All answers are worded as questions. Music and sound effects included. 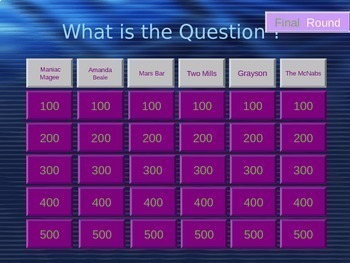 Game can also be used as a template, if you choose to change the questions.